Dan Berggren’s roots are firmly in the Adirondacks where he was raised but his music has branched out across many borders. 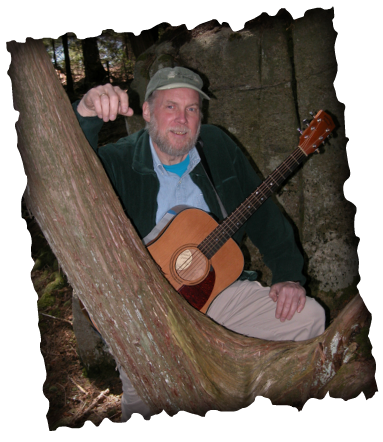 The award-winning musician and educator grew up on the land farmed by his mother's family for generations and has worked in the woods with forest ranger and survey crews. Hearing stories and songs from local friends and neighbors, Dan has developed a style that captures the spirit of the mountains. Dan has entertained audiences throughout New York State, from Vermont to Kentucky and Texas, and overseas in the British Isles, Eastern Europe and Central Africa. 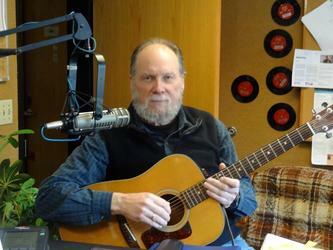 Some of his songs have been symphonically arranged, giving Dan the opportunity to perform with orchestras in Fredonia, Ithaca, Syracuse, West Virginia and Indiana. His original music has been featured nationally on public radio and television, earning praise from near and far. "A genuine treasure. Fresh and timeless, full of courage and down to earth richness." 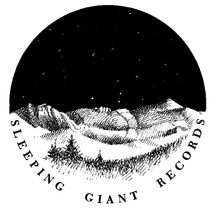 Sleeping Giant Records has released fifteen albums featuring Dan's music including Ten Miles to Saturday Night with Dan Duggan and Peggy Lynn, Cloudsplitter with Lynn, a collaboration with Duggan called Rooted in the Mountains and two albums with The Newton Street Irregulars. In 2002, the anthology One with the Water was released, featuring live and studio recordings previously unavailable on CD. That was followed by Dan's tribute to his hometown, MINERVA, in 2005; and a year later Fresh Territory explored the many dimensions of home, hard-working folks, taking care of our planet and each other. One of its most popular songs is the renewable energy anthem "Power from Above" which was published in SING OUT! the nation's premiere folk magazine. North River, North Woods, is a 2009 collaboration with John Kirk, Chris Shaw, Cedar Stanistreet and Ann Downey of the Canadian folk group Finest Kind and features instrumentals and ballads from New York State's north country. Tongues in Trees is the 2013 album that celebrates 40 years of songwriting and performing, and its songs are recorded as performed with Ed Lowman on bass. 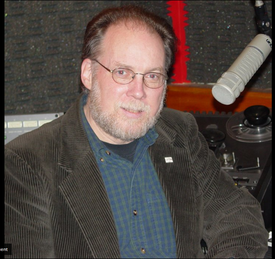 Dan is professor emeritus of audio and radio studies at the State University of New York College at Fredonia, where he received the President's Award for Excellence in Teaching in 1992. In that same year the New York State Outdoor Education Association presented him with its Art and Literary Award. Dan was recognized in 2001 by St. Lawrence University as a Distinguished Alumnus, by the Association for the Protection of the Adirondacks with its Heritage Award and most recently, he was the recipient of the Adirondack Mountain Club's Education Award.